Macro diving is all about the search for the small stuff. Incredible finds like frogfish, nudibranchs and the legendary blue-ringed octopus attract divers to some of the planet’s most remote and exotic waters, perfect for onboard safaris. Believe it or not, there are excellent macro diving sites outside of Asia. In this article, we’ll walk you through the best liveaboard destinations for macro diving from around the globe. 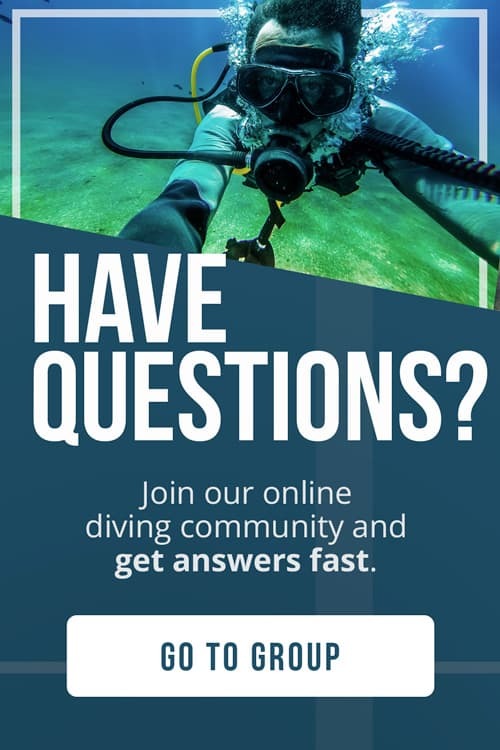 Most divers are familiar with big ocean creatures like sharks, rays, and whales. But, in many parts of the world, dive sites teem with fascinating life in miniature. Thanks to the slow pace and excellent buoyancy required for macro diving, themed liveaboard itineraries are your best bet. These boats offer special classes, workshops, and facilities for underwater photographers. For a sneak peak at some exciting macro species and a photo tutorial, check out this article from the Underwater Photography Guide. Only a few liveaboard dive boats pass through Ambon and the Banda Sea each year. This region is home to incredibly rare species like the Ambon Scorpionfish, and many critters that remain unidentified. Itineraries combine visits to Raja Ampat, the Spice Islands, or the Pacific Ring of Fire. Ambon’s reputation is for legendary muck diving. Throughout the region, the bottom composition features coral, rubble, and trash swarming with small creatures. A typical dive includes finds such as ghost pipefish, juvenile fish, rhinopias, and the fascinating wonderpus. 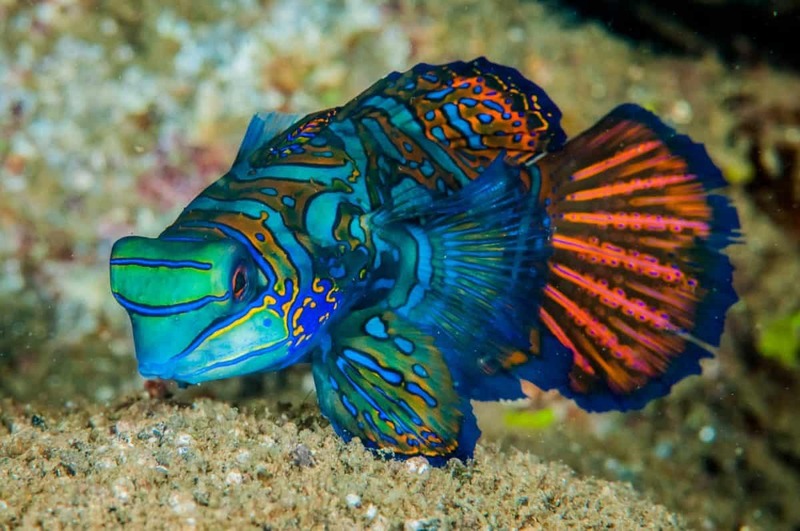 After dark, mandarinfish can be spotted performing their elaborate mating dance. And, it was in these very waters that the psychedelic frogfish was first discovered. Ambon and the surrounding areas have plenty to offer besides macro. Barrel sponges, sea fans, and corals encrust the deep walls and rock formations. The reef system supports many fish species including bumphead parrotfish, sharks, and even sea snakes. The region isn’t best known for its macro, but don’t be fooled. Thailand’s Andaman Sea has a lot to offer liveaboard divers looking for the small stuff. Around the Similan Islands and Phuket, expect to encounter a variety of rare and minuscule species like seahorses, nudibranchs, and mantis shrimp. Most macro diving in the Andaman Sea takes place over sand. This environment is perfect for spotting bobtail squid, ribbon eels, and sea moths. Around sunset, a variety of mantis shrimp leave the protective cover of their burrows to feed. The peacock mantis is the most photographic species, but also the most tricky to capture on film. Be sure to keep your distance, as one blow from this small crustacean can shatter a camera lens, or even break a finger. Night dives are also an excellent time to spot juvenile cuttlefish, ghost pipefish and bioluminescent algae. The Andaman Sea makes an outstanding liveaboard diving destination for divers on every budget and timeline. Boats in the region offer a variety of classes and workshops for photography, the most popular being the Digital Underwater Photography specialty course. 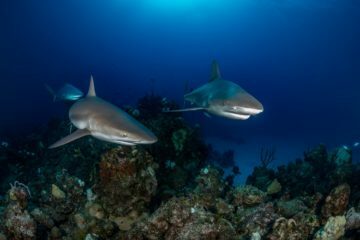 The Cayman Islands are home to some of the best Caribbean diving, and a surprising variety of macro life. Though not traditionally thought of as a liveaboard diving destination, the area is gaining popularity among safari divers thanks to an abundance of wildlife and uncrowded dive sites. The region’s only boat, the Cayman Aggressor IV, offers a luxury setup for photographers. Individual camera stations, charging areas, photography courses, and up to five dives per day will help you make the most of your trip. Blennies are some of the most interesting macro subjects found in the area. Favorite finds include the sailfin, spinyhead, and arrow species. These fascinating tube dwellers make their homes right in the reef, only popping their heads out when they think the coast is clear. During spring months, photographers comb the sand for male yellowhead jawfish guarding their eggs. Other exciting macro species in the region include lettuce leaf sea slugs, decorator crabs, and sea hares. With over 300 dive sites to explore, the Cayman Islands offer a diverse undersea landscape. Plunging walls, wrecks, and plenty of big fish combine for an excellent liveaboard destination offering more than macro. Good conditions year round make the islands an outstanding choice for newer divers. Lembeh Strait is the ultimate muck diving destination, topping many macro enthusiast’s bucket list. Every dive site will result in fantastic finds like frogfish, nudibranchs and seahorses thanks to the region’s silty bottom composition and ideal conditions. A liveaboard is your best option for exploring the area, allowing for plenty of time to hang out between critter packed dives. Onboard safaris also help you beat the tourist crowds and cash in on 4 or 5 dives a day. A concentration of weird and wonderful creatures populates Lembeh’s sea floor. Some of the more bizarre inhabitants include the hairy frogfish, coconut octopus, and flamboyant cuttlefish. By night, the sand crawls with a different set of species. Bobbit worms, stargazers, and spanish dancers are among the exciting nocturnal residents. Check out Underwater Photography Guide’s article on Lembeh for some photo inspiration. Though there are plenty of sites in the area for big fish, Lembeh liveaboard itineraries focus on macro first. At nearby Bunaken, drift dives and plunging walls covered with hard and soft corals make for an exciting change of pace with a continued focus on the small stuff. If you have an extended budget and timeline, an itinerary that combines Raja Ampat is your best bet. More than just the gateway to Sipadan, Mabul is an excellent liveaboard dive destination for macro fans and photographers. The island showcases a variety of rubble and sand bottoms, teeming with some of southeast Asia’s most fascinating underwater creatures. The two destinations combine to create Malaysia’s most exciting liveaboard itineraries. Mabul is best known for hosting masters of camouflage like the mimic octopus, giant frogfish, flying gurnard, and crocodile fish. The region is also famous for a variety of tube dwellers. Spikefin and metallic shrimp gobies make fun, hard to spot macro finds. Night dives in Mandarin Alley are an itinerary highlight, with nearly guaranteed sightings of the rare mandarinfish. Nearby Sipadan is a haven for turtles, eagle and manta rays, scalloped hammerheads, and gray reef sharks. Strong ocean currents and massive cleaning stations make the park a paradise for these larger species and a perfect choice for advanced divers. If you are planning to visit Sipadan as a part of your liveaboard itinerary, be sure to find out how many days you will spend inside the park. A limited number of permits are issued daily, and pre-booking is vital. Milne Bay is where it all started. The birthplace of muck diving and a major highlight for liveaboard divers in PNG, Milne is the nudibranch capital of the world. These small colorful slugs are a shared passion for most macro divers, attracting fanatics from around the globe. Other incredible macro finds include orangutan and soft coral crabs, mimic octopus, and emperor shrimp. The dive sites around Milne feature gently sloping bottoms with fine silt, sand, and muck composition. 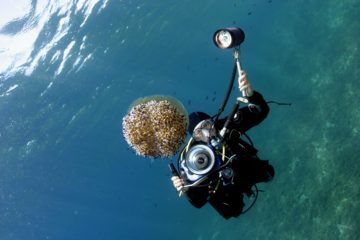 It’s here that divers will encounter the greatest concentration of small stuff. While Milne is best known for its dorids, nudis and slugs, hundreds of other macro species call the bay home. Check out this short film, Rolling In The Deep, from OceanShutter.com’s Dustin Adamson for a bit of Milne macro inspiration. PNG is a dream liveaboard destination for more than macro. Shipwrecks, walls, pinnacles, and colorful coral gardens round out the itinerary. Cleaning stations and strong currents attract a variety of large pelagics like manta rays, whale sharks, and even the occasional minke whale. And, a location in the heart of the Coral Triangle means incredible biodiversity in hard and soft corals. Tulamben is a highlight for liveaboard itineraries in eastern Bali, and a haven for macro photographers. The region is perfect for an intro to muck diving, thanks to easily dived sites and abundant life. Best of all, a liveaboard will help you escape Bali’s notorious tourist crowds, and give you plenty of time to spend around other macro experts and enthusiasts. Seraya Secret is Tulamben’s most famous spot for muck diving, and one of the best dive sites in Bali. This slope’s black volcanic sand is home to frogfish, ribbon eels, harlequin shrimp, and the rare ghost pipefish. The dark background is a favorite for photographers, lending a striking effect to macro shots. At the nearby USAT Liberty shipwreck, divers encounter immense gardens of delicate soft corals and sea fans. The wreck is famous for its populations of impossibly small pygmy seahorses and bumblebee shrimp. With a variety of dive sites and good conditions year round, Bali is an ideal liveaboard destination for newer divers. Itineraries combine pelagic hotspots like Nusa Lembongan or photographers favorites like Pemuteran. Bali liveaboards come in a wide variety of budgets and timelines, so be sure to shop around. Many boats offer special features like classes, workshops, and activities for non-divers. Most divers associate Australia with the big stuff. Sharks, dolphins, mantas, and whale sharks are the region’s most famous residents. But, An incredible variety of macro life awaits divers on the island’s southern and eastern coasts. 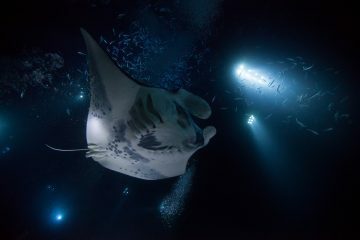 Liveaboard dive safaris are the only way to dive the great barrier reef, coral sea, and southern bays all in one trip. And, they are a great option for divers on a short timeline. Australia’s most famous macro resident is the leafy sea dragon. This prized photography subject is one of the best-camouflaged critters on the reef, so you’ll need a pair of expert eyes to spot one. By night, southern Australia’s sheltered bays come alive with a stunning array of macro life. Cowries, nudibranchs, seahorses, and the adorable striped pyjama squid are favorite discoveries. Less attractive night time finds include wobbegong sharks, toadfish, and bobbit worms. Liveaboard divers in Australia will find a multitude of boats on offer. Two- and three-day trips are a common choice for backpackers and budget travelers hoping to experience the longest coral reef on planet earth. If you are willing to forego a few creature comforts consider an extended safari on a budget boat. These dressed down itineraries are similarly priced to one or two nights in a more luxurious setting. The best liveaboard itineraries for macro diving in the Philippines cruise the Visayas islands. The waters around Cebu, Malapascua, Anilao, Dauin, and Dumaguete all have world class muck and macro sites. You can’t go wrong in this region, with plenty of big stuff on offer as well. Thresher sharks, massive bait balls, and manta rays only sweeten the deal. A liveaboard is the only way to see the best sites from around Visayas all in one trip. Anilao is a must-see area for underwater photographers and macro enthusiasts. With endless biodiversity, these waters will captivate even the most veteran liveaboard divers. You can expect 3 to 5 dives a day packed with fascinating macro life of all types. For a sneak peek at the area’s best finds, check out this gallery of Anilao’s coolest critters from Underwater Photography Guide. The black volcanic sand around Dauin and Dumaguete makes the perfect backdrop for photographers. Some truly bizarre species call the region home, including dragonets, hairy squat lobsters, and a variety of frogfish. This region is also known for its super-macro finds like brooding fish eggs, juvenile cuttlefish, and the most minuscule of cleaner shrimp. If you thought that macro diving was all about warm water, you were wrong. Cold seas are home to abundant life on a small scale. Only explorable via liveaboard and with the use of a drysuit, Norway’s polar waters are a highly exclusive area. Diving in this region takes extra effort but is without a doubt the trip of a lifetime. Local biodiversity includes penguins, leopard and fur seals, whales, orcas, over 60 species of nudibranchs, and a multitude of cool macro creatures. Itineraries combine Western Norway, Spitsbergen, and the Antarctic peninsula. Western Norway is the capital of cold water muck diving. Macro fish species include gobies, clingfish, and snailfish. Other photo worthy finds include stone crabs, swimming crabs, and sea spiders. The most famous residents in this area are nudibranchs, and there is even an annual safari held in their honor. The event draws scientists and slug fanatics from around the globe. Other interesting critters include feather stars, brittle stars, and sea urchins. In addition to macro, cod, hake, pollock, wolffish, and monkfish are seen depending on the season. Norway’s kelp forests are also an excellent place to look for macro life. The stalks house nudibranchs, squat lobsters, and brooding fish eggs. 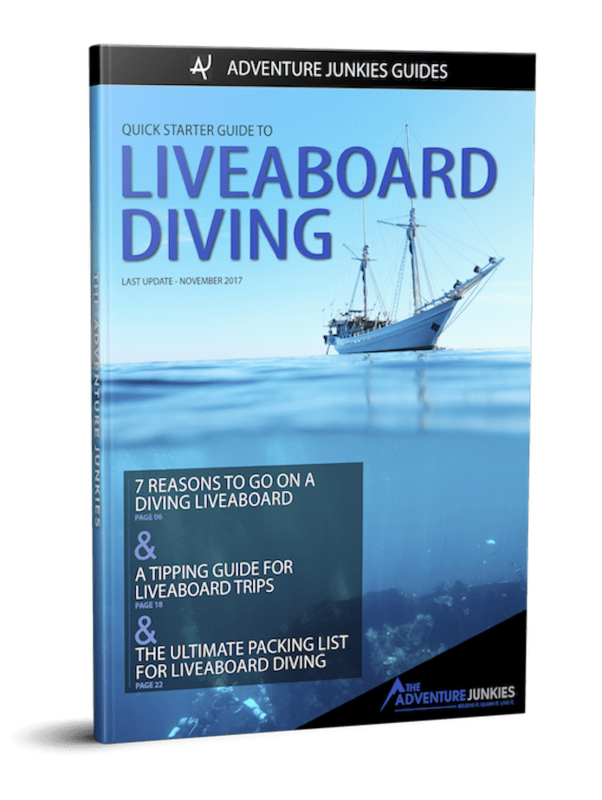 Keep in mind that liveaboards in Norway feature more than diving. Snorkeling with whales and orcas, expeditions onto the ice, and sightseeing in the fjords are part of the package. For the craziest Norweigan liveaboard we’ve seen, check out this 19-day adventure onboard the M/V Ortelius.